Learn how to make and store your own gumpastes both vegetarian and non vegetarian. Make your own gumpaste under our supervision and use it to make your own flowers. 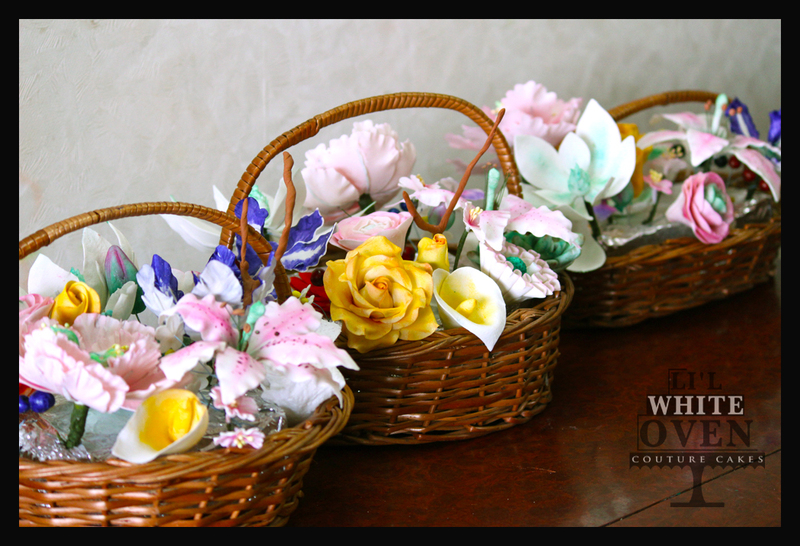 We will provide you with the full set of cutters to make your own flowers. Also included in the kit: foam pad and flower tools. 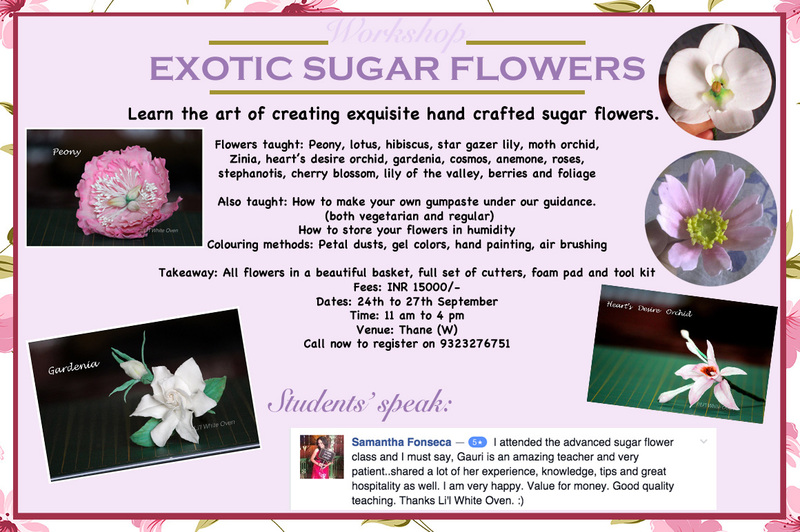 Learn 15 exotic flowers, with complete hands on training, and full guidance during and after class. Learn how to store, preserve and transport your flowers even in conditions of high humidity. Learn different coloring techniques for flowers including coloring with petals dusts, gel colors and air brushing, to achieve different shades and textures. Fees is inclusive of material, full flower kit, Printed notes with images, lunch and refreshments. After having tried and tested this recipe many times over, and having others trying and testing the recipe, and its turning out perfect each and every time, I decided to post this recipe for all of you to follow and make in your own homes. Mud cakes are full of flavor and depth. 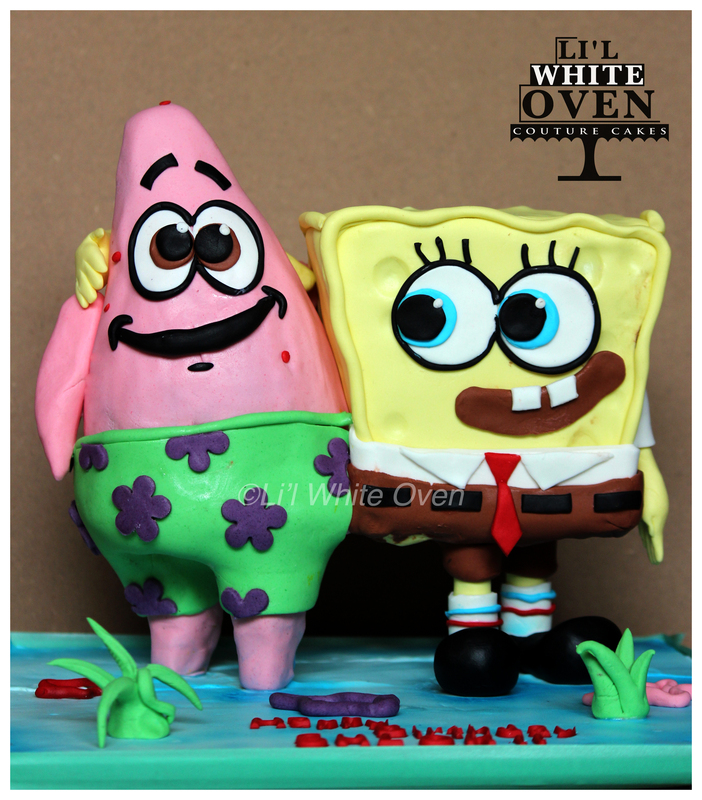 They have the softness of a sponge, and yet are sturdy enough to hold fondant and fondant decorations. 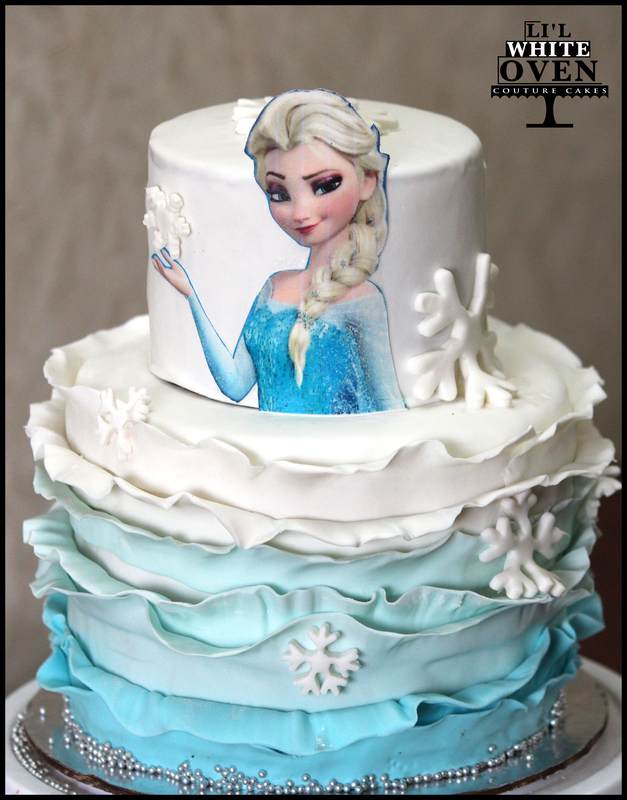 Freeze the cake, and you are good to go if you want to carve your cake for a sculpted cake. I have used this recipe time and again, for so many of my cakes. It’s that this recipe is made with so few ingredients, no headache, no separating of eggs, and your batter is in the oven before you know it. It is fast and simple and so so yummy! Sift the maida with cocoa powder, baking powder, baking soda and salt (if using). Keep it aside. Add coffee powder and vanilla to the hot water. Keep it aside. Place the chopped dark chocolate and butter in a microwave safe bowl. I used a large bowl and did all my mixing in it. Put it in the microwave and zip it for 1 minute on full power. Mix the butter and chocolate well. If there are still pieces of unmelted chocolate in it, zip it for 20 seconds more. Once it has melted and come together, add all the sugar and beat it for two minutes on medium speed. Add the hot coffee mixture to the chocolate mixture in three increments, while beating on a low speed. Beat till the mixture feels only slightly warm to touch. Add the eggs, one at a time, beating for 1 minute after each addition. Finally add all of the flour mixture, and beat for a minute. Scrape the sides of the bowl and beat again for two minutes. Scrape the bottom of the bowl, and beat again one final time for 2 minutes. The mixture is runny, don’t be worried about that. Pour the batter in the lined baking tins, and place them in the oven. Bake them for about 30 to 40 minutes or till a toothpick inserted in the center of the cake emerges with barely a crumb or two. Do not overbake. Cool the cake completely in the pan. Wrap it in cling film, and keep it in the fridge to chill it if you are going to use it soon. 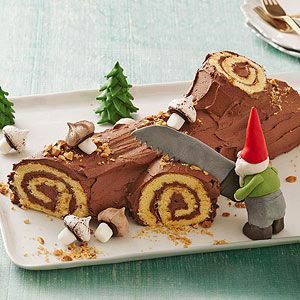 If you want to carve it, place it in the freezer. However, there were major roadblocks. Weather – Candy in rains? You’ve got to be kidding me! Design – I don’t know how many times I must have sketched and trashed, sketched and trashed and sketched and trashed till I could sketch no more. 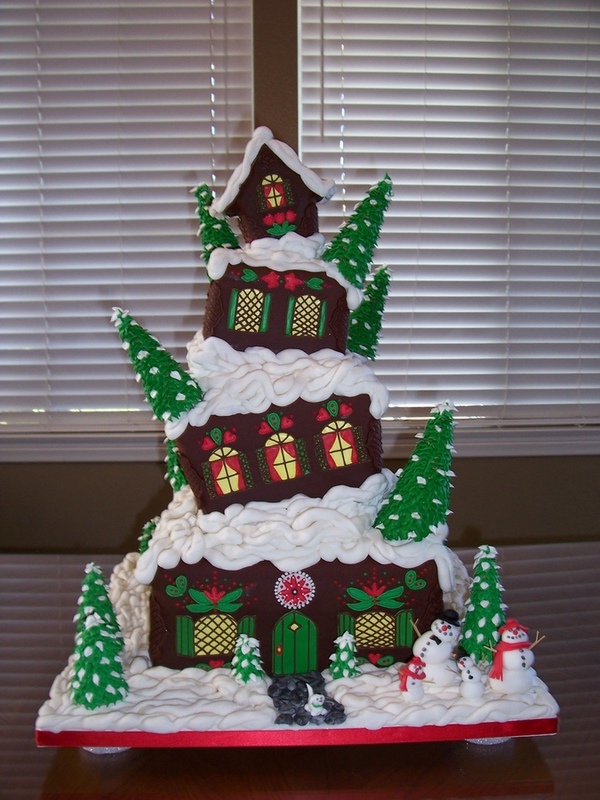 I thought and thought, and researched, and went from simple cake to topsy turvy, to whimsical. I looked on the internet for inspiration, and almost came close to using Charlie and The Chocolate Factory as the theme. However, something was amiss. There were no bells ringing. As with anything important in life, all vital decisions must be made upon the ringing of imaginary bells in the mind. Oh don’t scoff, it is a very exact science! My AHA! or EUREKA! 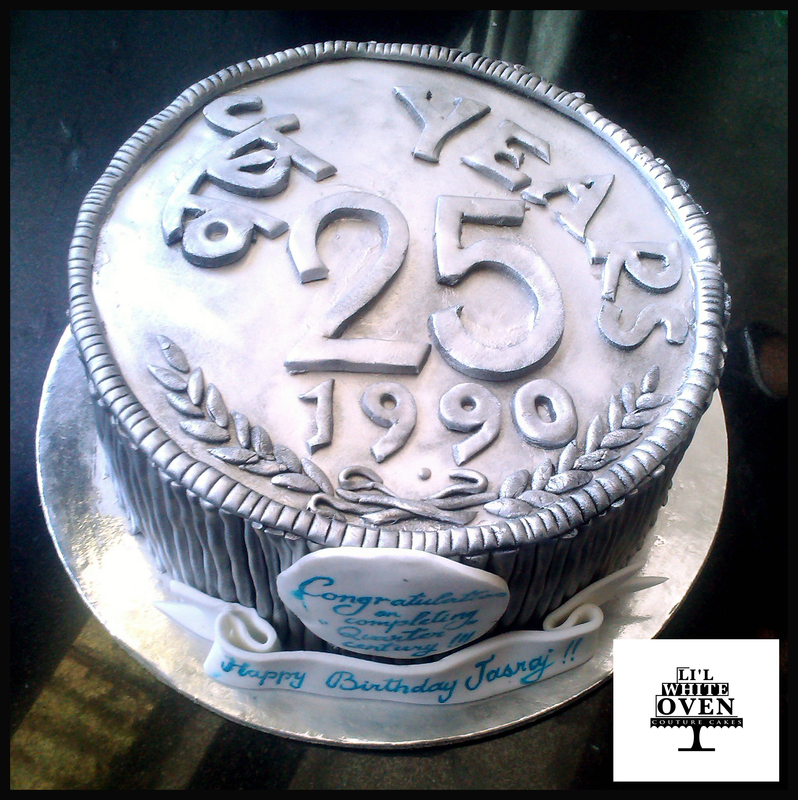 moment came when I thought of making a structural sculpted cake. But not just any sculpted cake, I wanted a moving sculpted cake. 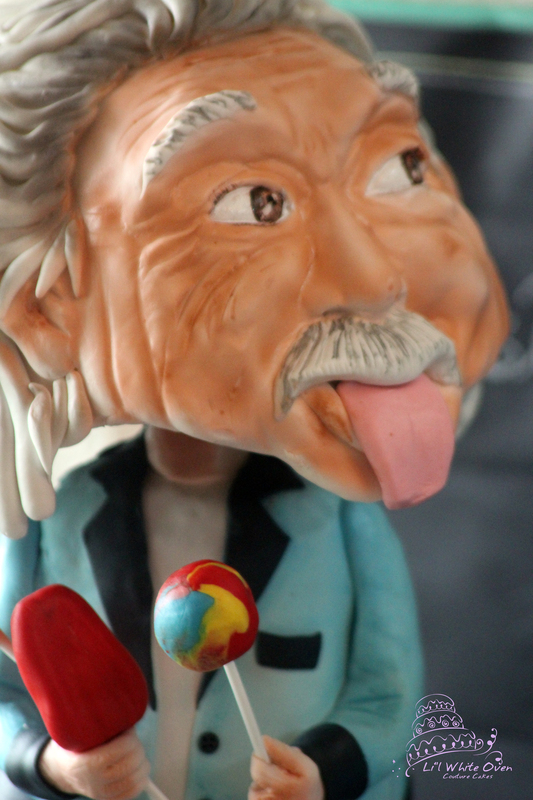 Nature has it’s own way of showing its approval, for right then I got this image of an Einstein Bobblehead staring right at me from the laptop screen. I swear, that bobblehead just knew what I was thinking. It was smiling so! So once I had my husband all excited about this new theme, we sat about the designing aspect. After hours of arguing, we finally had the design of the structure. Day 3: A little prayer was said to the Almighty, and gathering all the reference images, sketches, ratios blah blah blah…. I set about making the cake. Day 5: The face of EInstein is ruined. His jaw has fallen to the floor… no literally! It is there lying on the floor in a sticky mess. Day 6: My emotions have settled. My effed up brain has settled. My tears have dried and my resolve has renewed. Much like Scarlett O’Hara, I decide that nothing is going to come in the way of my making this cake. It happens to be my birthday. I spend the whole day re-making the whole head. Day 6: evening – I dare everyone to touch the ac! “You might end up finger-less” I warn! 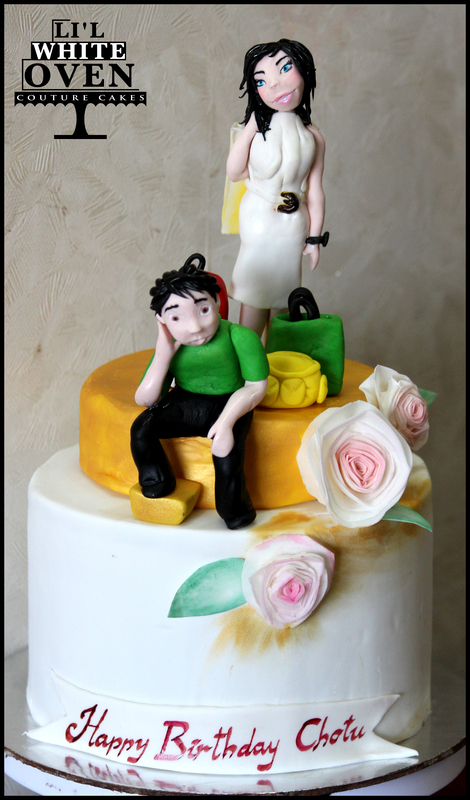 Finally the cake pictures are taken, and the cake is taken to a nearby orphanage. Have a special theme? 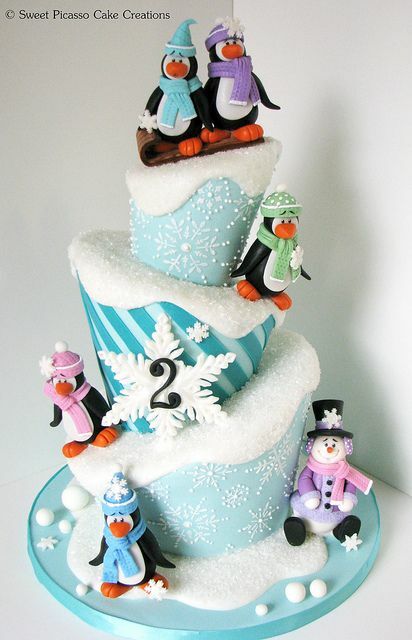 Want a different designer cake for your child? A custom cake like no other? 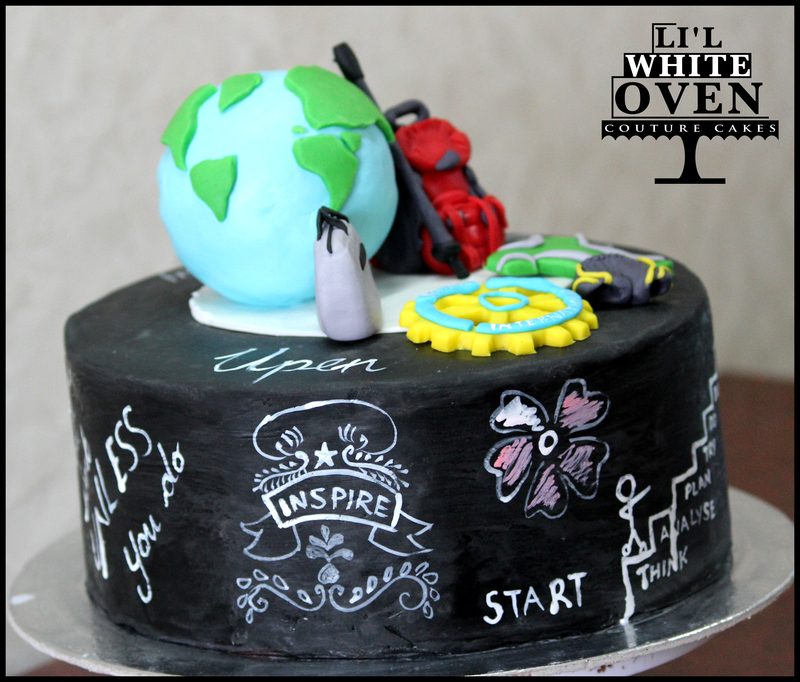 Look no further, because Li’l White Oven is here to make your child’s special day even more special. 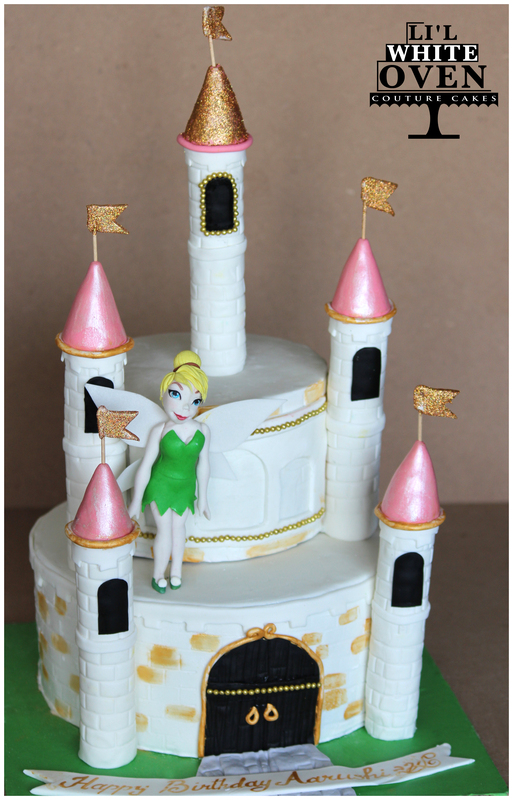 Here are some of the birthday cakes we have created so far. Baking powder and baking soda are one of the main ingredients of cakes and cupcakes, which lend the volume and softness that is required to lend that melt-in-the-mouth goodness to your cakes. However, very often we use these products in our baking to find that the finished product is flat and dense. Every time you use baking powder and soda, it is wise to check its efficiency. it doesn’t take a long time, and saves you a lot of heartache that would result from a poorly risen cake. How to check the efficacy of baking powder? In a bowl, preferably steel, take one tablespoon of water. Add a pinch of baking powder to it. If it effervesces, and bubbles well, it is potent and you can use it. If not, try using warm water. If it still doesn’t bubble, discard it. How to check the efficacy of baking soda? For soda, you need to check it in vinegar. Take one tablespoon of vinegar in a bowl. Add a pinch of baking soda to it. if it bubbles furiously, it is potent and you can use it. If it doesn’t, discard it. Christmas is just around the corner and maybe you want to gift something different to your loved ones this year. 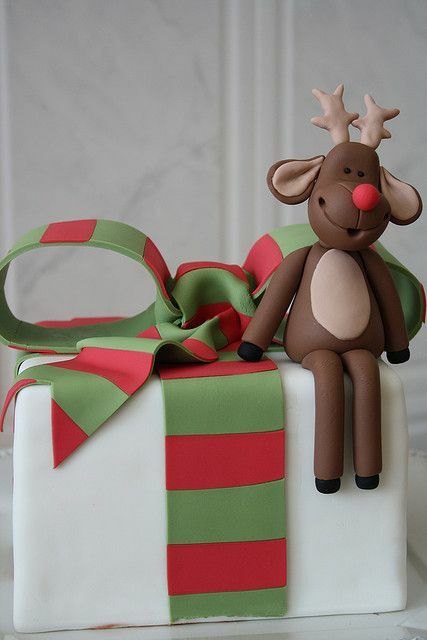 How about a cake for Christmas, made with rich fruit cake and covered with Marzipan and fondant. 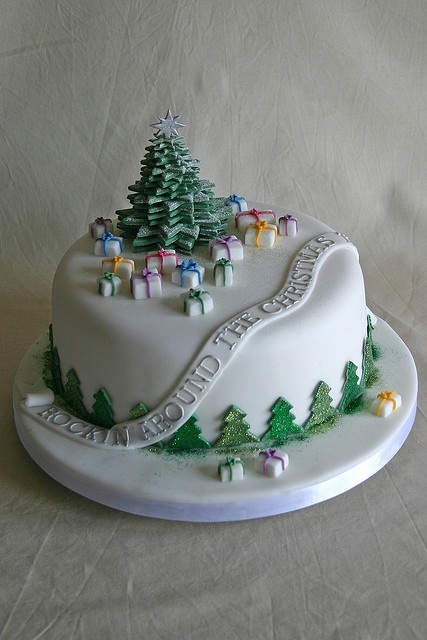 Take a look at these exciting christmas cake ideas for 2014. 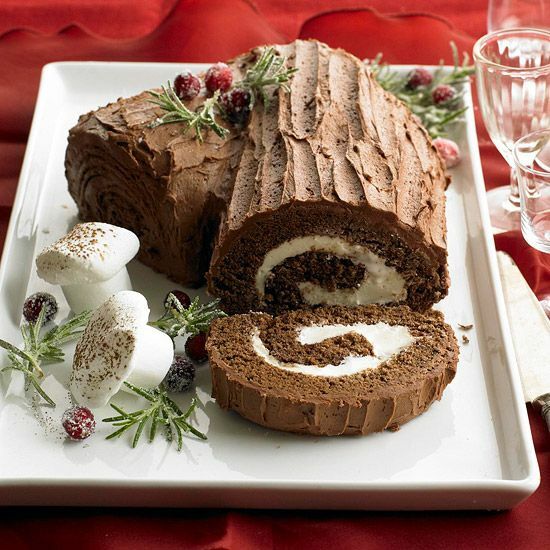 Maybe you are having a Christmas celebration at home, and you want to invite friends and family over. 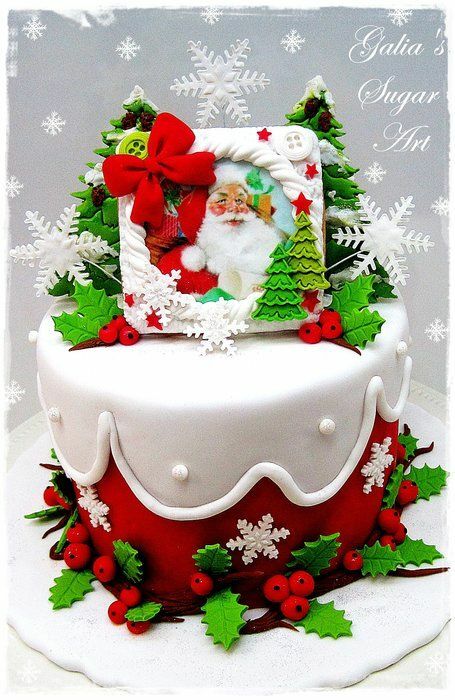 Dazzle them with a custom made topsy turvy Christmas cake, and you will have a Christmas to remember forever. 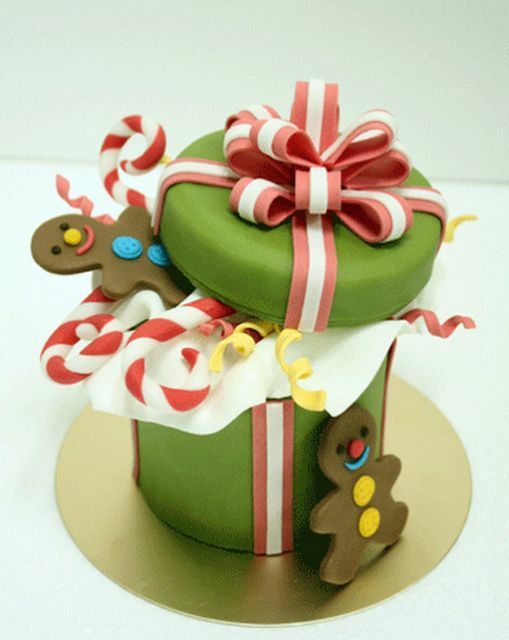 Instead of the usual gift box, why not gift a Christmas themed gift box cake? 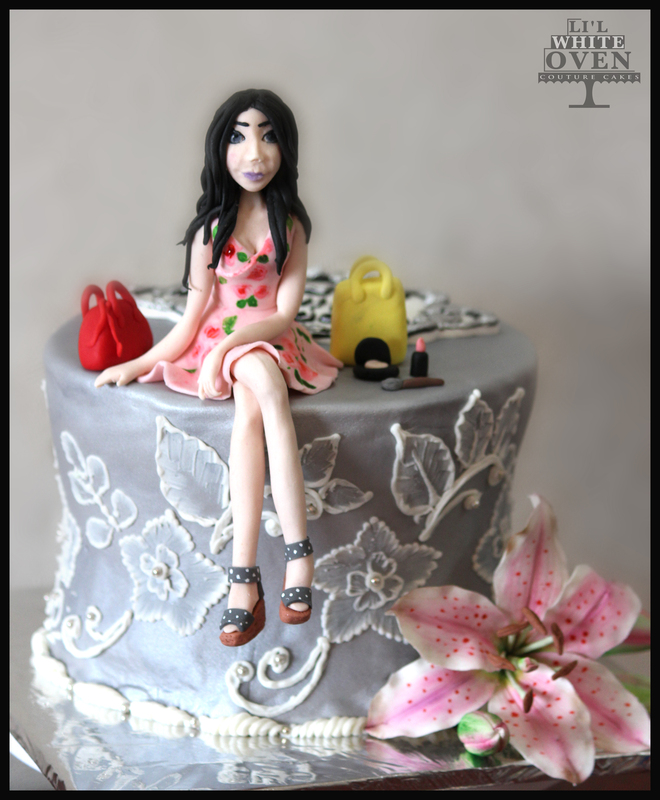 You can speak to your baker to get it customized for you. 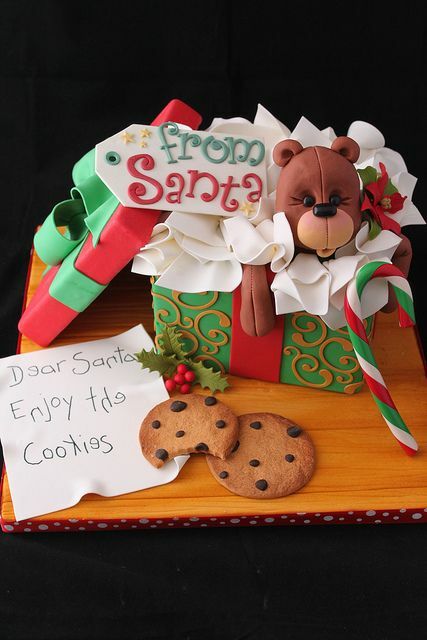 You can even chose to make tiny personalized gift box cakes as return gifts for party invitees. 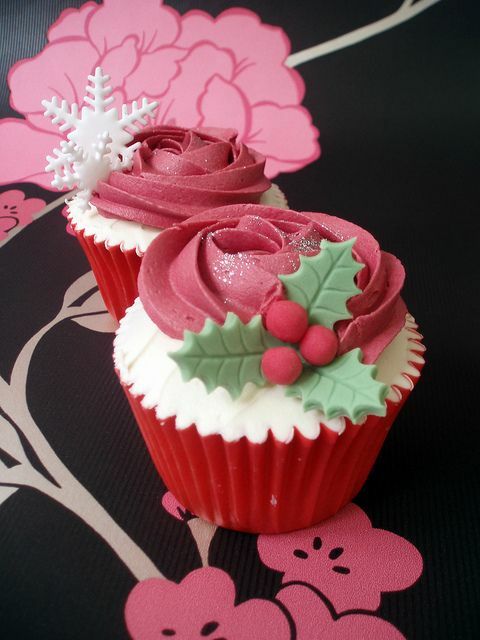 Or you can simply gift these cutesie Christmas themed cakes to your special near and dear ones. They are festive, they are colorful and most importantly they convey your feelings like nothing else ever will. Add a customized message or your special touch and make them the most memorable gift ever. Oh I could go on and on here! 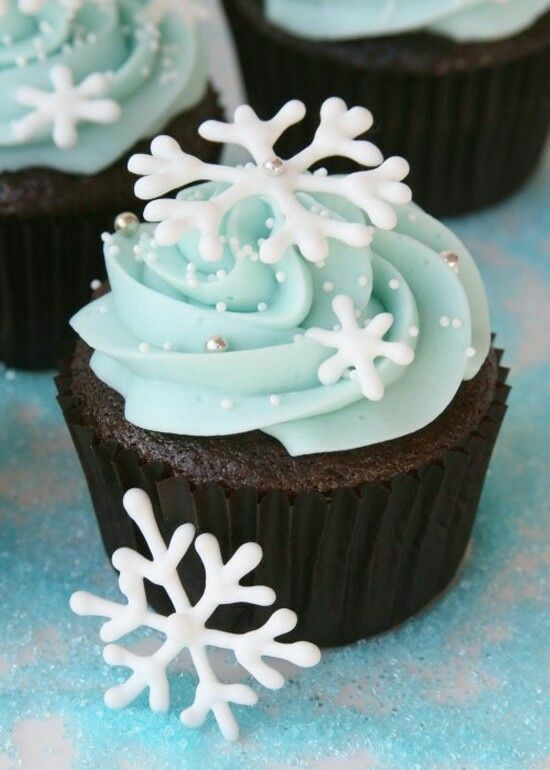 Cupcakes are the cutest thing ever! Topped with heavenly frosting they make the perfect serving sized cakes for everyone. 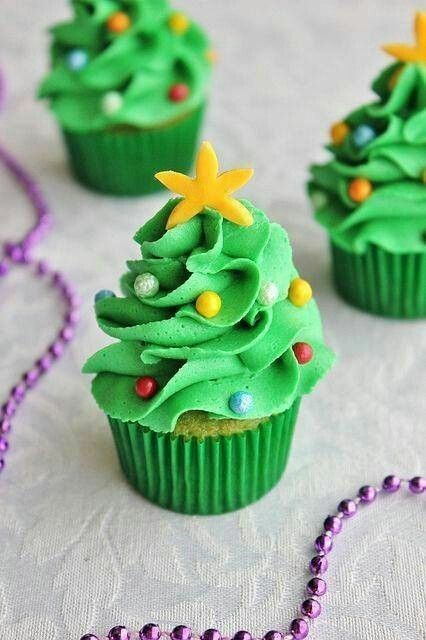 Here are some ideas for Christmas cupcakes. 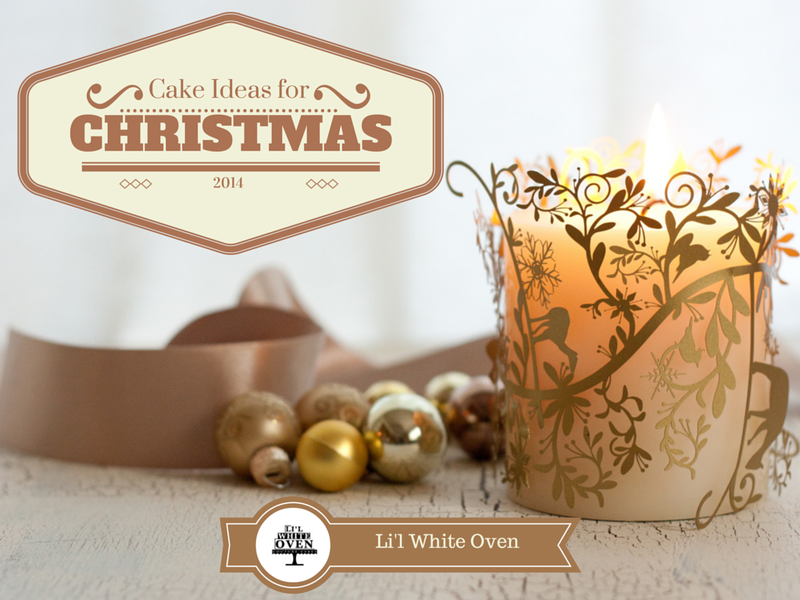 Place them in individual boxes and once again you have a budget christmas cake gifting option! These are just some ideas to get you going. 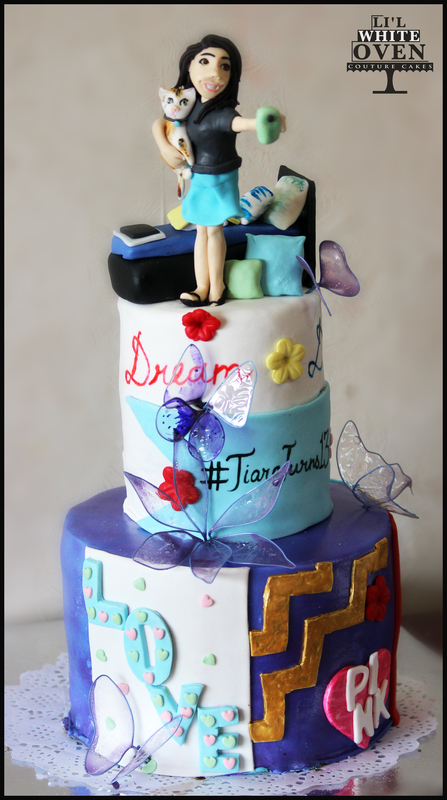 Once you put your mind to it, you can definitely get a cake made in your own customized design. Make this Christmas count. 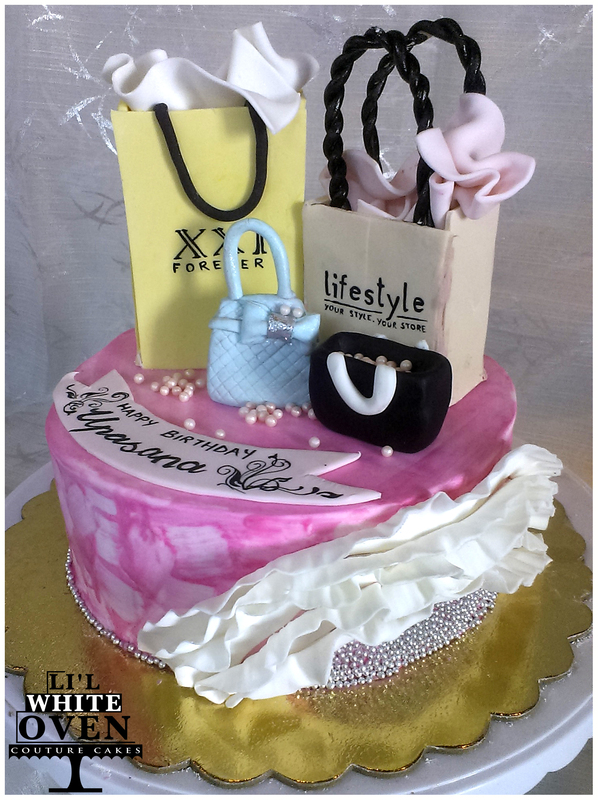 Make it memorable by gifting a special cake! 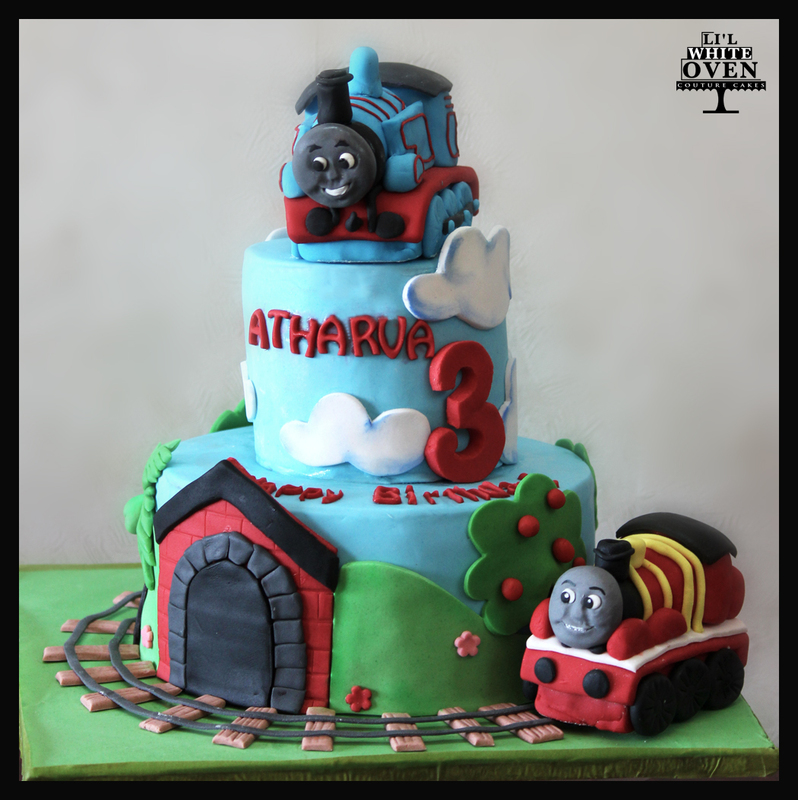 Disclaimer: The cake pictures shown in this post are not mine, I have given due credit under each image. This post is not sponsored in any manner. All rights to written material on this blog are reserved by me. It is October already, and the wedding season is just around the corner! I am sure brides and bridegrooms to be are blushing with love flowing through their veins, making and tweaking plans for their perfect wedding day. 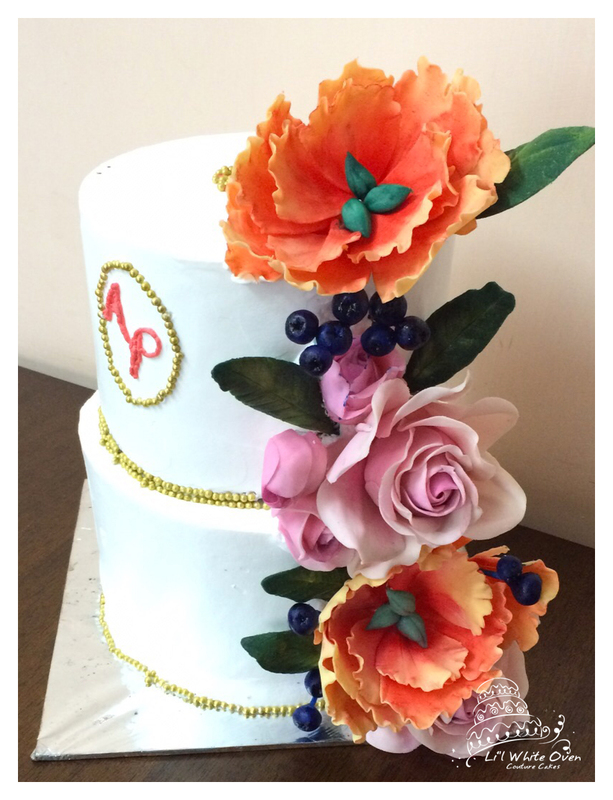 While everyone gives a thought to the trousseau and venue and menu, the cake is, like one of my clients said to me the other day, a show-stopper of sorts. 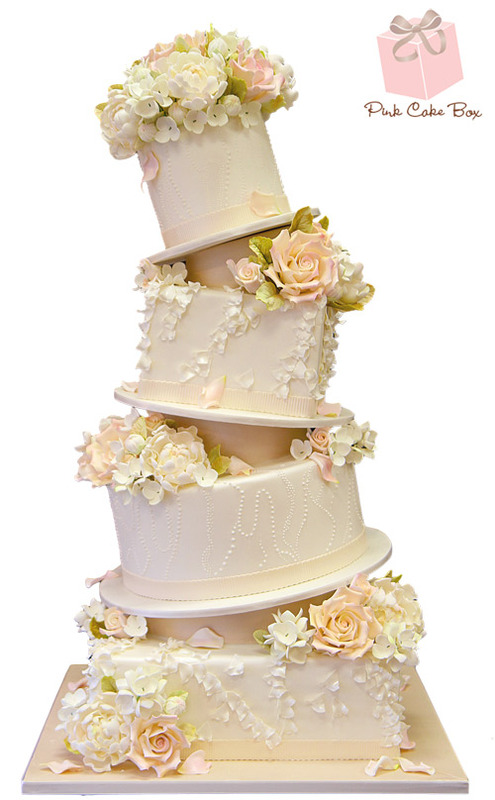 A lot of thought must go into the wedding cake, because it will be at some point, the focus of everyone’s attention. There is a whole ritual attached to the wedding cake, which is why you want your cake to stand out in the crowd, so to speak. Here are some amazing new trends in wedding cakes that all you lovely brides, bridegrooms and family of the soon-to-be-wed couples should look out for! creating the illusion of a chandelier. 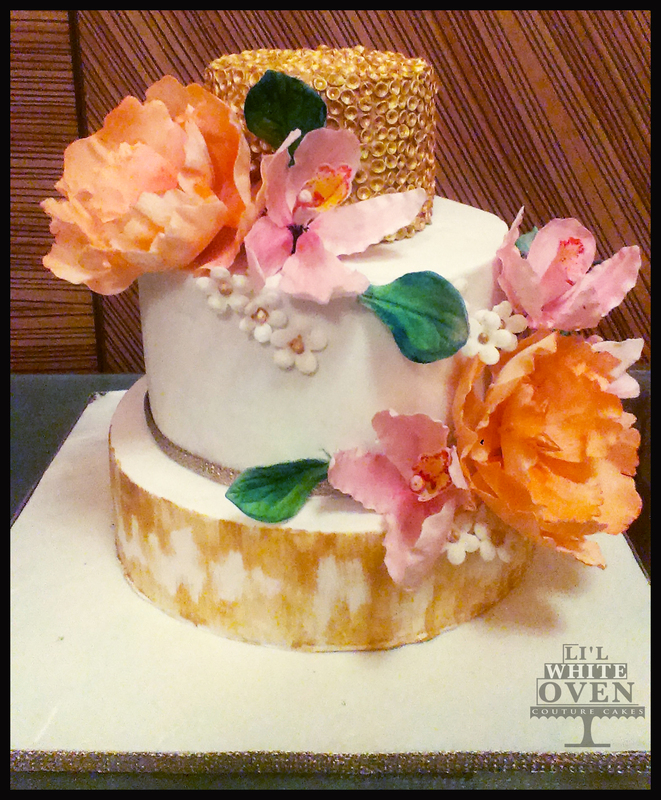 Bling and flowers take these cakes to an ethereal new level. 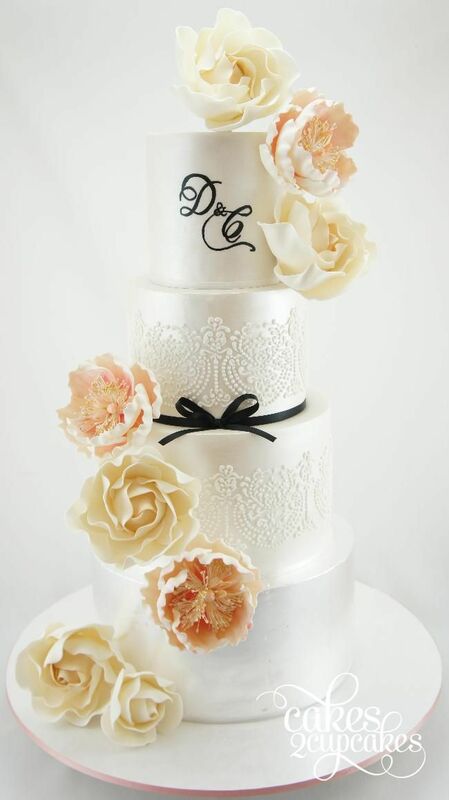 The cakes can be decorated with anything from laces, to bling, to chevrons to patterns. 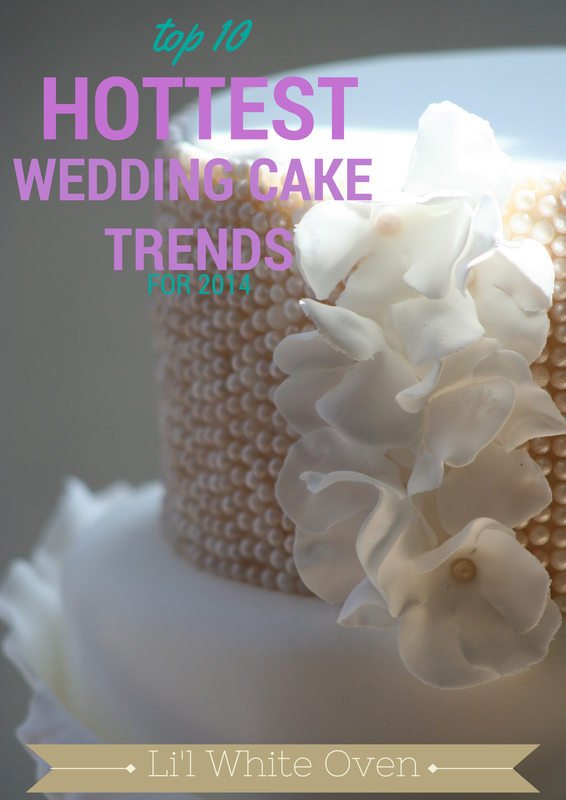 It really is the in thing as far as wedding cake trends go this 2014. 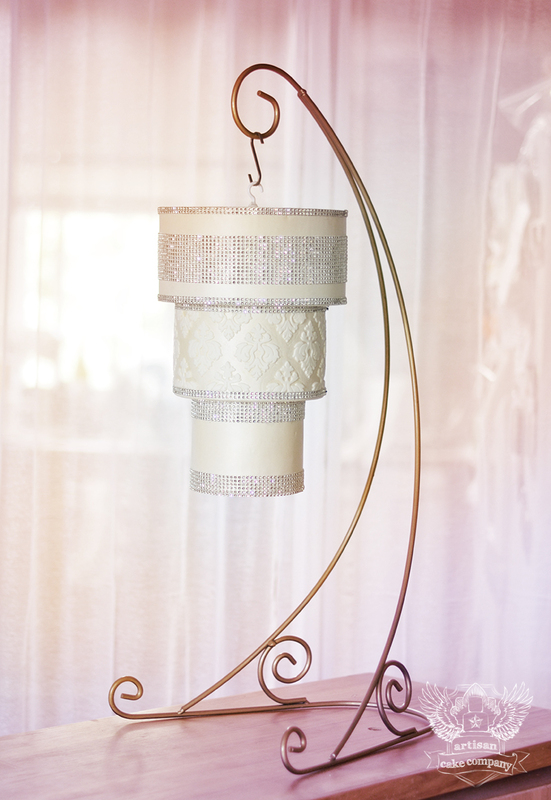 Think glimmer, glamour and think shimmer. Weddings are shiny affairs, with lots of sparkle and all that jazz. 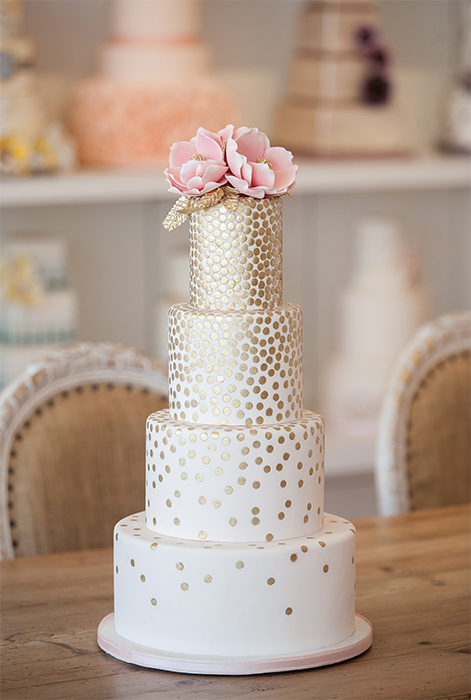 You might as well add some pizzaz to your wedding cake by asking for tiers of gold, silver, metallic colors or even individuals sequins. 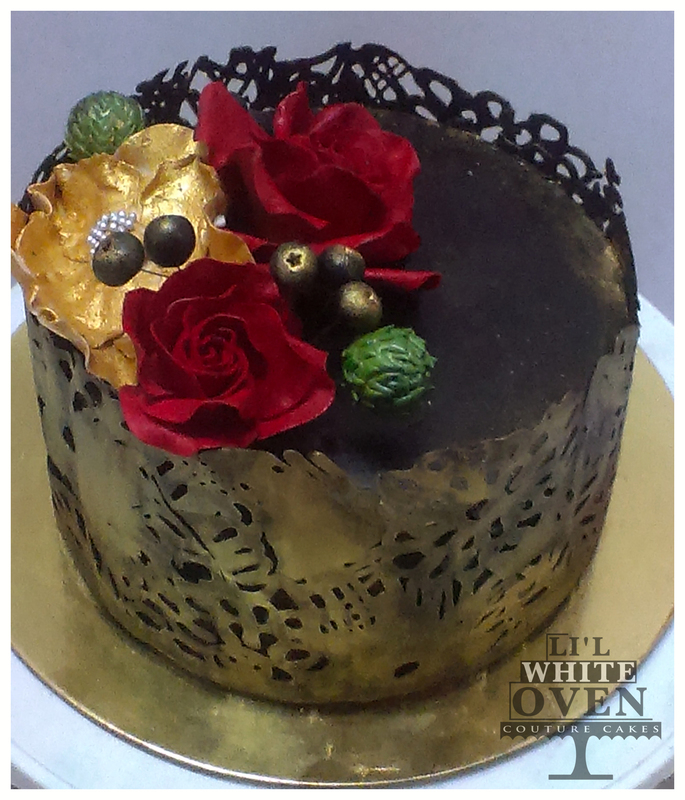 The flowers can be gold-tipped or solid silver, depending on how much shimmer you want to add to your cake. 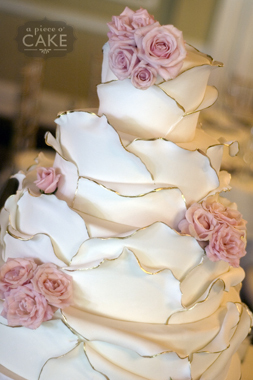 If your bridal dress is ruffled, why not go with ruffles on cake too? 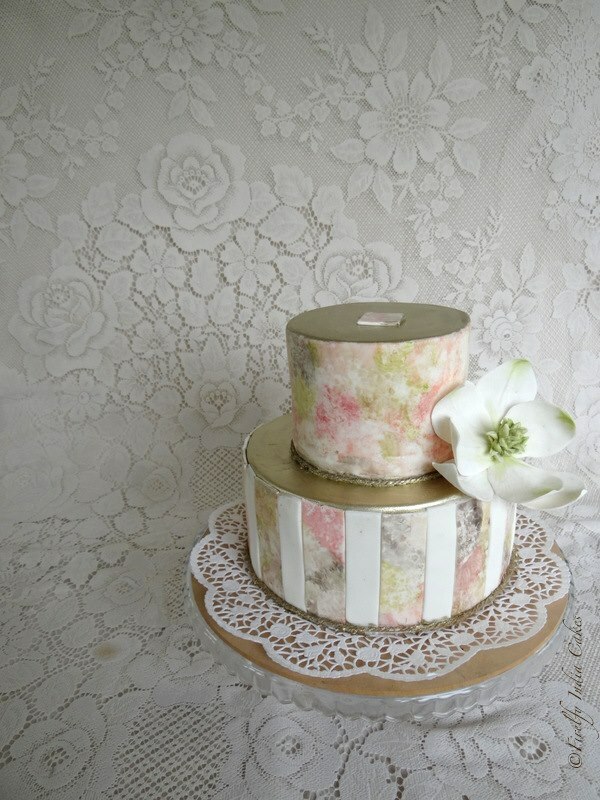 They are pretty gorgeous and can be used throughout the cake or on a single tier only. Either way, ruffles always look classy. 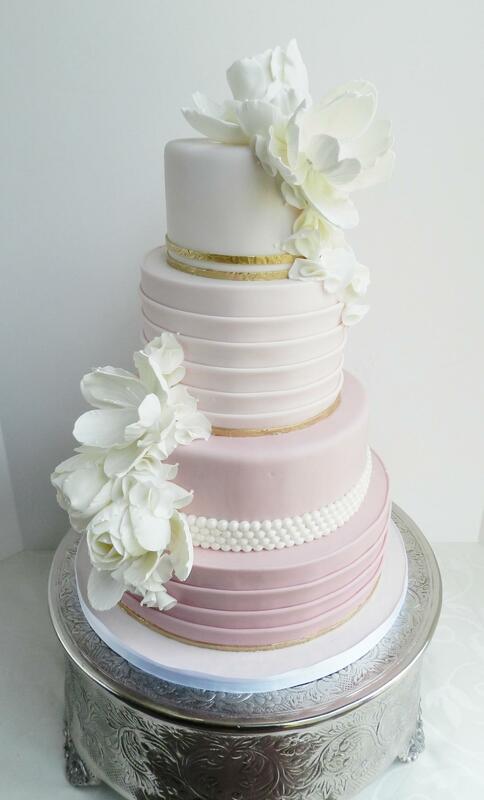 Tilt the position or add a bit of glitter to the edges as in this fantastic ruffled cake. Add a few flowers and you are good to go! Okay, do not go by that name! They are indeed cakes which are devoid of any frosting on the outside. But just like a vintage building, they are really beautiful to look at, if made properly. One of the hottest cake trends this year. Think flowers, think modern art, think mosaic. 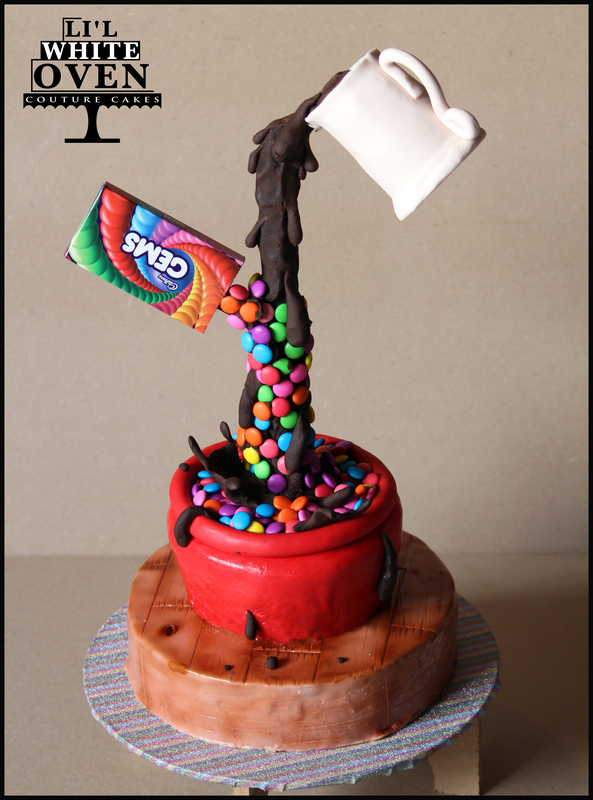 Modern cake decorators are artists in their own way, and can create edible masterpieces with edible colors. If you are someone who has the eye for a fine painting, go for it! Go for a burst of colors instead of the usual whites and lilacs and pinks. Think shades. You go with a darker shade of a color and lighten it as you reach the top. It looks elegant, classy and very much in the spirit of weddings. Ethereal and serene. 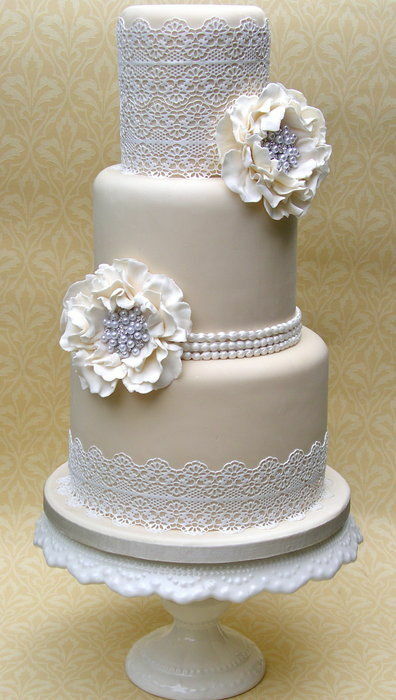 Earlier cakes used to be decorated with real lace that had to be discarded. Then someone with a whole lot of genius thought, why not have lace that can be eaten as well? That is how edible laces were born. 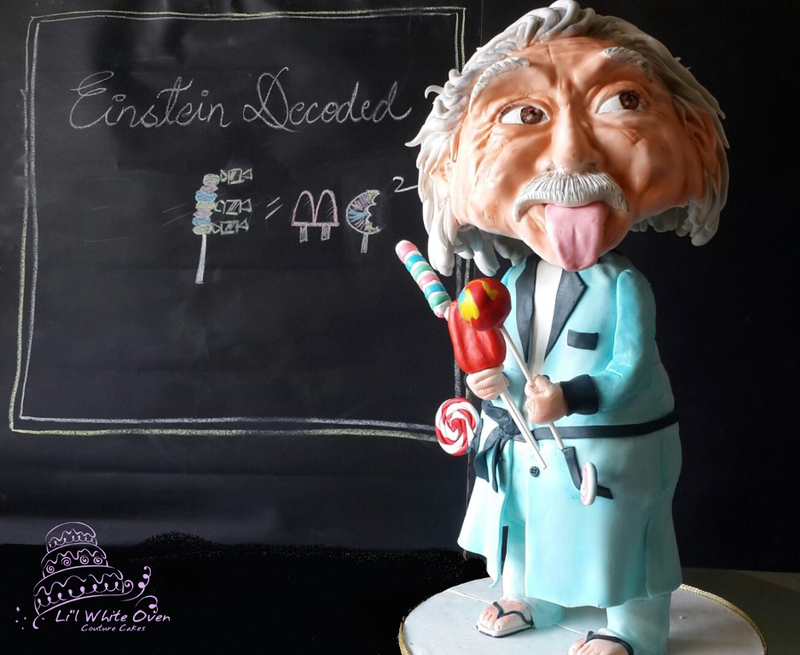 Have them on your wedding cake and you have a fantastic, out-of-this-world cake that is to die for. 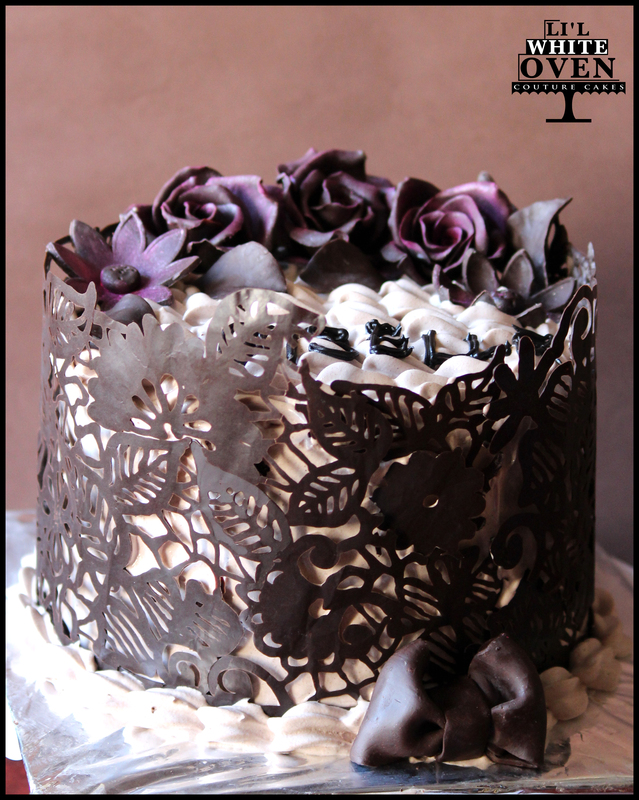 Intricately done and meticulously crafted geometric patterns give these cake eye-pleasing personality. They look 3d and cheat the eye somewhat, but they are just gorgeous to look at when done properly. Why not have your own monogram on the cake. The monogram can be made with the initials of the bride and the groom, and it can be either stuck on to the cake, or on top of the cake. Either way it looks amazing. 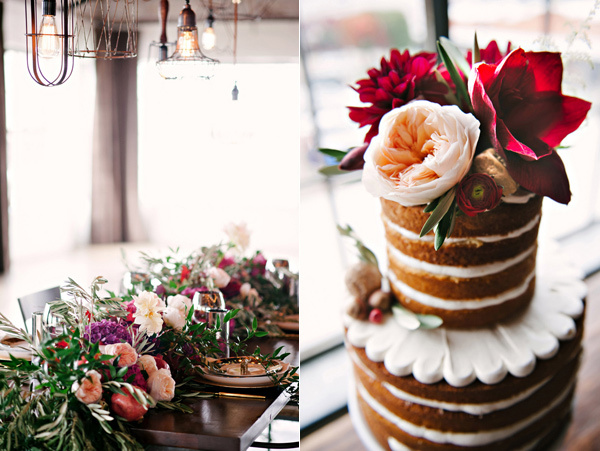 So these are the hottest cake trends of 2014. Which one will you pick? Which is your favorite of all the trends? 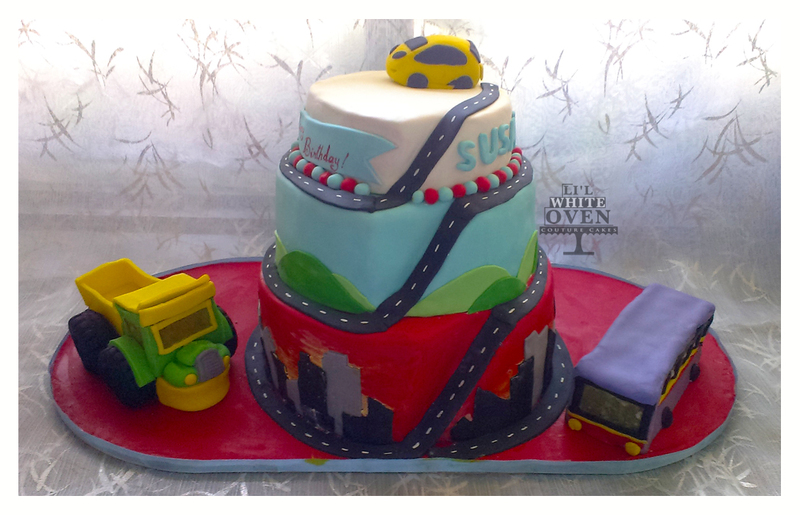 Susmit was about to turn two years old, and his mother came to me with a request for a bus cake or a truck cake, two of his favorite vehicles in the world. The consultation and sketches began with elaborate truck and bus cakes, but then she told me the number of people there were going to be at the party, and we both realized that there was no way a teensie weensie truck cake could serve so many people. Therefore, we landed up with this design. This was the first time I was working with isomalt. It definitely wasn’t as easy as I thought it was going to be. But ultimately I was able to get the look I desired. The tyres of the truck had RKT filling in them. 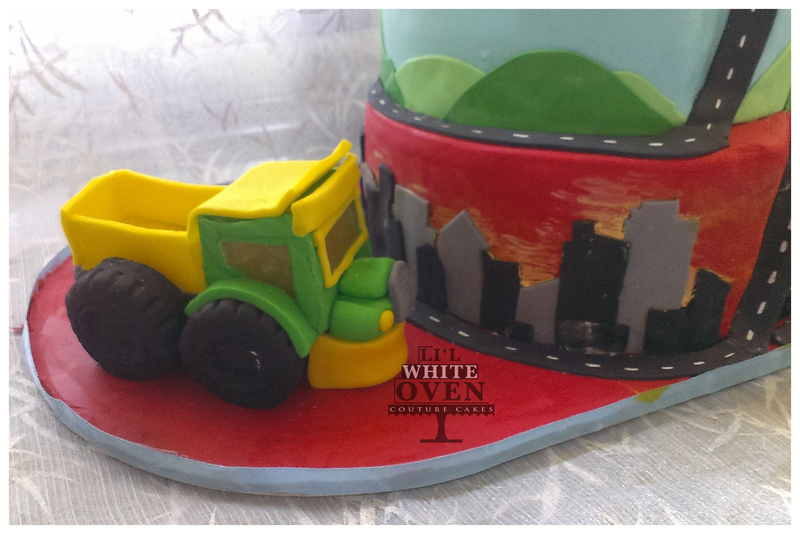 The rest of the truck and bus were in gum paste. It took me five days to build the truck and bus bit by bit, drying the foundation and then putting the pieces together. 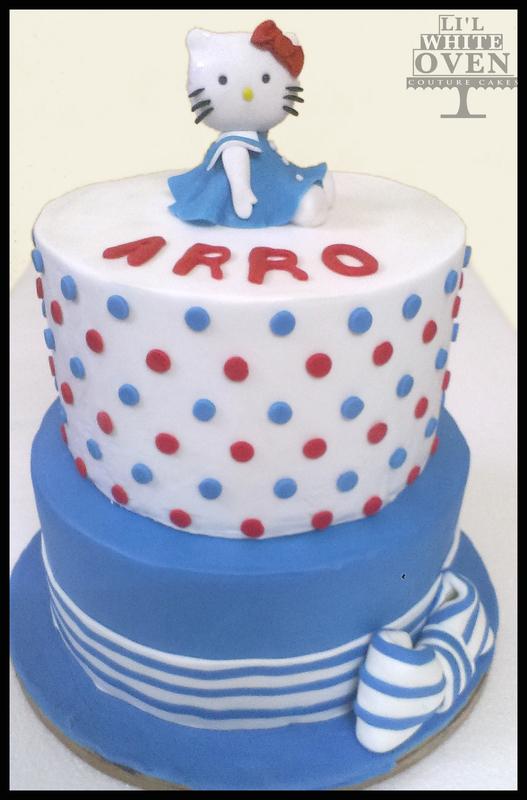 The cake itself was made to fit in with the red, blue and white theme of the party. The bottom tier was red velvet cake with cream cheese frosting. The middle layer was blue velvet with blueberry whipped cream and the top layer was a vanilla cake with pineapple chunks in whipped cream. This was also the first time I used MDF board for base. MDF is firm enough to bear the weight of the cake, but more cost effective than wood. I got the board cut to the shape I wanted and covered it with fondant the same color as the bottom tier. I also used a blue ribbon to mask the sides of the board. 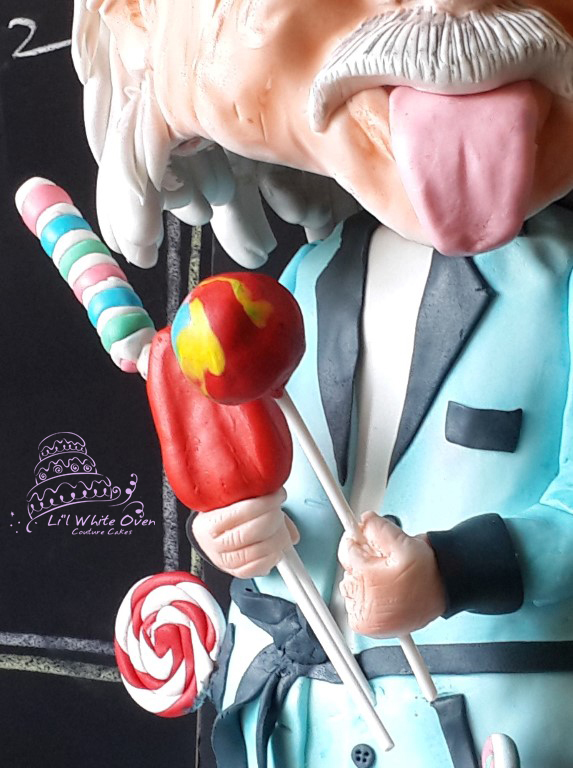 Did you like this cake? 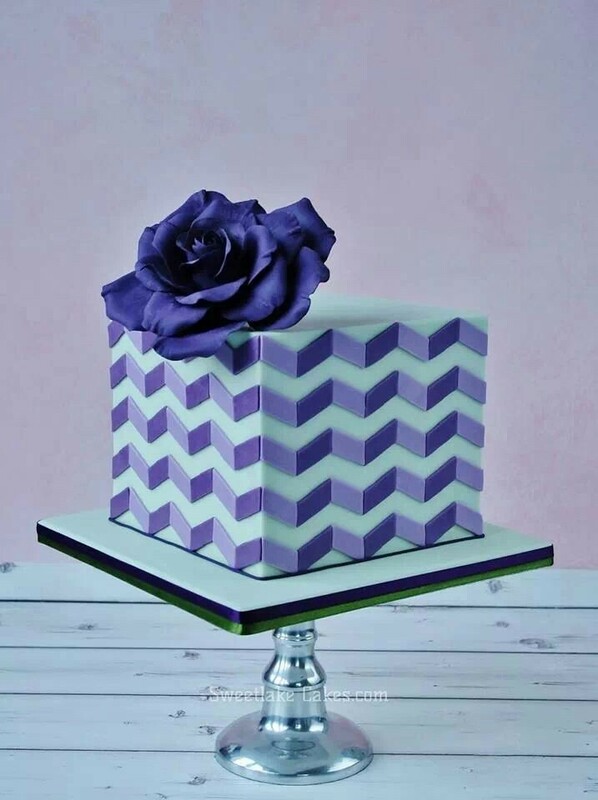 If you have any particular questions about any methods used in this cake, feel free to ask in the comments. 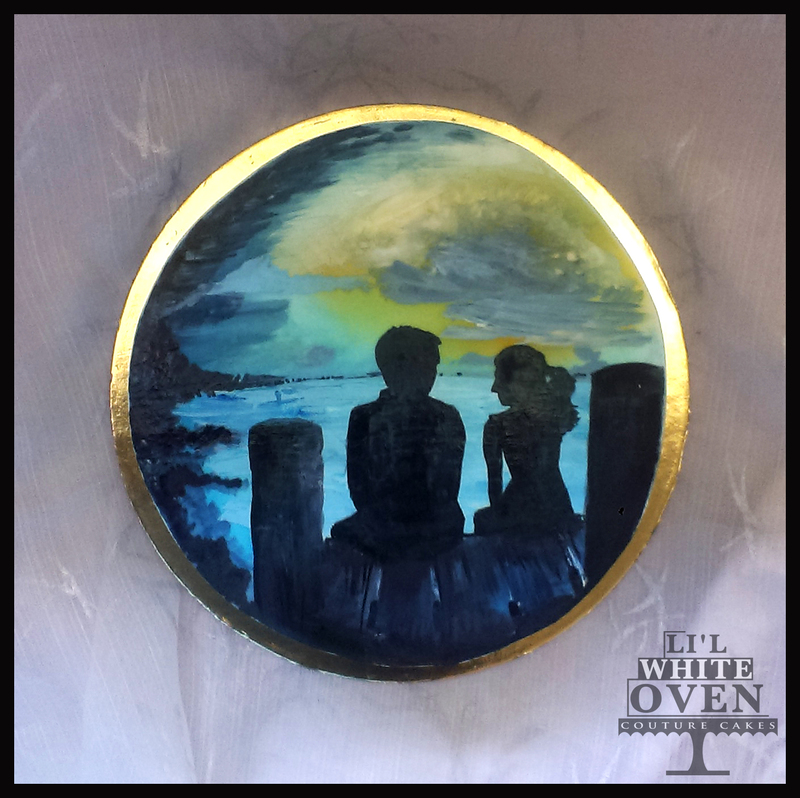 Visit Li'l White Oven's profile on Pinterest. Candid tales of life happening to me !! !